The creation of a comprehensive sustainable architectural and planning concept for the embankments of the Kaban lakes and a schematic design of the part of Lower Kaban lakeembankment to be implemented firstly. The concept must include functional zoning, landscape solutions, cultural, social and event programming, as well as an economical assessment of the proposed solutions. A Russian legal body or a consortium of legal bodies can participate in the competition. Foreign partners are allowed to be a part of a consortium. No adaptation of materials and events for foreign participants is provided. After the first stage 10 finalists will be chosen to further develop the concept. 5 top-rated finalists will receive 600’000 RUB (approx. 10780 USD) each as a reward for the preparation of the competition works. All 10 finalists will be able to continue participating in the competition and claim victory. Russian and foreign (as a part of a consortium) architectural companies able to engage landscape architects, designers, layout specialists, economists, finance, commercial and residential property experts, content programming, social area management, sociology, entertainment business, engineering and environmental science specialists are invited to take part in the competition. The winner of the competition will be the author of the best concept chosen at a jury session from the 10 finalists. The winner shall receive 1’000’000 RUB (approx. 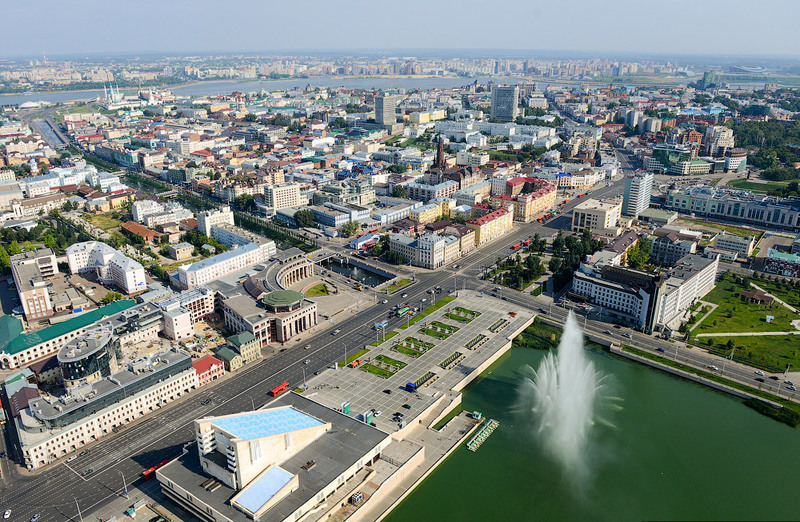 18000 USD) after the announcement of the competition results along with a contract for the first stage design project development of the future embankment. It is the largest lake of the system. The banks gradually expand in width: from 170, to 320, and then up to 580 m in at the widest part. A thermal power plant occupies the most of the western bank of the lake. The lake forms an almost regular oval shape. Upper Kaban is not connected with the other lakes. The agency for the strategic development "CENTER" is a team of professionals in the field of territory development. An important direction of the agency’s activities is the development of social areas (renovation of parks, cultural facilities and industrial areas). The agency’s mission is to form a new model of Russia’s territorial development. Its essence is to fulfill the potential of the researched area by creating new cultural, social, economical centres. The team was previously known as the project center «Archpolis» until the end of 2014. In 2015 it was transformed into the agency for the strategic development "CENTER". The team has offered the concept for a pedestrian area in Zaraysk, revitalized the territory of a cotton mill in Balashiha and a textile mill in Ivanovo. In a consortium with the Turenscape bureau from China it has taken the second place in a competition for the development of the riverfronts of Moskva river. In 2014 it organized several significant competition for the development of the Sokolniki park, Mitino landscape park and others areas.